As the demand for minerals and precious metals grows, mining companies are constantly working to keep up with demand and improve their mining methods while at the same time doing as much as they can to preserve the environment. Most mining and heavy construction work is predominantly done by heavy equipment such as LHD loaders, backhoes, excavators and dump trucks. This equipment gets coated with solids, dirt and grime on a daily basis. Daily washing is an important part of maintaining the equipment in good working order. This washing, however, produces a lot of dirty water and solids. 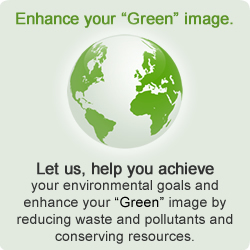 The most efficient way to reduce your water usage and hauling costs is to remove the solids and recycle the water. Our Mining & Construction Equipment (MC Series) Systems are heavy-duty, multi-stage reclaim and discharge systems, engineered and manufactured for the mining and heavy construction industries. Because of the enormous amount of solids generated by the washing process, the most critical first stage for these systems is the solids handling system. Depending on the wash pad design, our engineers will develop a site-specific system including sumps, trenches, screens and skimmers to remove as many solids as possible before the water goes to the subsequent filtration systems. After many of the heavy solids are removed in the first stage, the water will then be processed through a stainless steel clarifier oil water separator which removes most suspended solids (TSS), essentially all settleable solids and all free and dispersed non-emulsified oils from the waste stream. After the clarifier separator, the water can either be discharged or further processed for re-use. 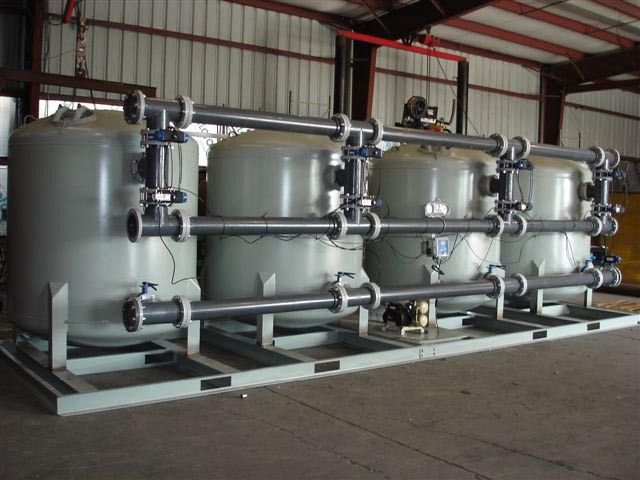 If the water needs to be re-used, the water then goes through an extremely efficient filtration process utilizing fully automated solids filtration and a proprietary blended activated carbon (GAC) polishing filtration, and a corona discharge ozone generator to prevent odors. Processed water passing through the system will be free of particles greater than 10 microns in size, substantially all emulsified oils, waxes and other volatile organic compounds.